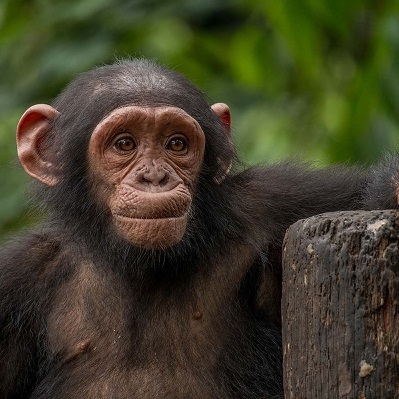 Providing high standards of care for chimpanzees, gorillas and other primates rescued from the exotic pet trade – many of which are ‘bushmeat orphans’ whose families have been killed for food. Wherever possible, rehabilitated primates are released back into the wild. Limbe also operates extensive local outreach and education programmes. 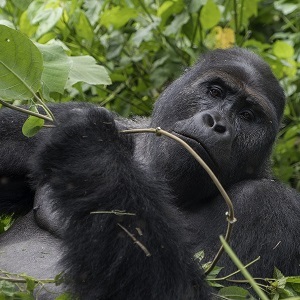 An innovative and award-winning NGO focused on wildlife law enforcement in Cameroon, LAGA works with government authorities to capture and prosecute dealers in protected wildlife species, especially those trading in bushmeat and ivory. To halt human-elephant conflict and poaching and ensuring that forest elephants can safely move within the greater forested landscape; protecting endangered primates, such as the chimpanzee and drill in the sanctuary and surrounding forests; garnering support for conservation from local communities. Sign up to get the latest Born Free news about our work and how you can help, delivered straight to your inbox. The Born Free Foundation is a registered charity. (Charity Number: 1070906). Registered as a company limited by guarantee (Number 03603432) (England & Wales).